In the development of stretch blow molders KHS can look back on over 40 years of experience in PET processing. It is therefore not without good reason that the InnoPET Blomax stretch blow molder has been setting standards in the production of PET bottles since its conception. KHS is now offering its customers a new milestone with the Series V. The Dortmund systems supplier will be celebrating the world premiere thereof at this year’s BrauBeviale in Nuremberg from November 13 to 15. The InnoPET Blomax stretch blow molder is one of the most reliable and efficient machines of its kind. At the end of the year, for the first time the general public will be able to preview the fifth generation which thanks to numerous innovations constitutes the most sustainable and powerful InnoPET Blomax to date. "We've always listened closely to what our customers have to say and work this into the continuous improvement of our stretch blow molder. 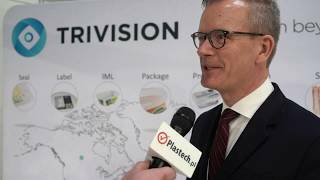 In this series the greatest technological advance came with the development of the machine's new heating concept, however," smiles Marco Böhnke, product manager for block and stretch blow molding technology at KHS. "With the new Series V generation of machines we want to define just what a stretch blow molder can do." With the InnoPET Blomax Series V users opt for sustainable and powerful technology. 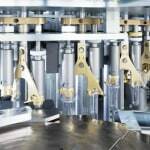 The machine produces up to 90,000 PET bottles an hour holding between around 0.2 and 3.0 liters. 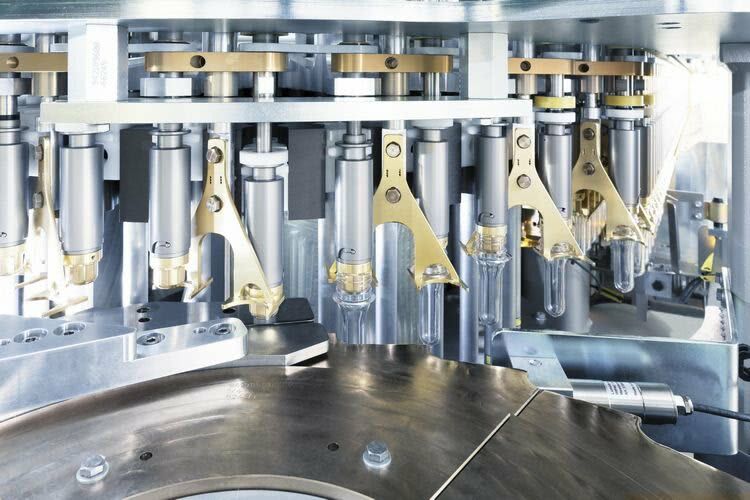 It manufactures lightweight or premium variants just as reliably as individual bottles and containers. Depending on requirements six to 36 blow stations are possible, each of which has a capacity of up to 2,500 bottles per hour. Thanks to the machine's quick-change system format changeovers involve only a few manual adjustments performed in a very short time indeed, ensuring permanently high line availability. The new generation of stretch blow molders seamlessly ties in with the KHS Group's blocked machine strategy and can be combined with a filler, labeler or Plasmax barrier technology or with several modules at once. The Series V saves up to 40% in energy compared to its predecessor through the implementation of a completely new heating concept. The near infrared heater centrally installed in the closed reflector tunnel forms the nucleus of this. In the heater the preforms pass the centrally arranged heating units to both the left and right. This means that the preforms have a very small pitch of 18 millimeters instead of the previous approximately 37 millimeters. KHS has thus been able to reduce the number of heater boxes by up to 40% which not only results in such vast energy savings but also cuts down on the amount of radiation loss. In the new DuoCooling cooling concept an external cooler supplies two cooling circuits with different temperatures. One of these is for the base mold and the other for the stretch drives, outer mold shells and, if required, the control cabinet cooling unit. This efficient cooling system prevents condensation from forming on the outer mold shells, for example, and further reduces energy consumption by up to 15%. In the Series V KHS has supplemented its patented AirbackPlus air recycling system for an up to 40% saving in compressed air with its new EcoDry air management system. This uses the residual air from the blowing and recycling process to replace a separate air drier in the base mold area and in the blow wheel. In combination with DuoCooling this means that the entire blow mold is free of condensation and corrosion even in unfavorable climatic conditions. This enables operators of the EcoDry system to save approximately €50,000 at 5,000 hours of production per annum. 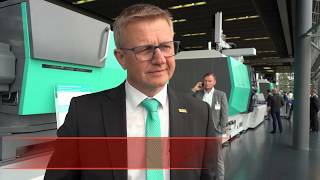 “We’re proud to again be setting new standards with the InnoPET Blomax Series V and to pass these benefits on to our customers, allowing them to enjoy even more efficient and sustainable production,” states Böhnke.